CHARLOTTESVILLE, Va. (WVIR) - An attorney representing the former University of Virginia student convicted of double murder is filing a parole appeal. 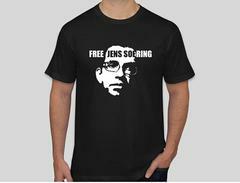 "This is the second time Jens has appealed a parole decision. It's his right to do so. On each occasion that he's done it we've gotten new information to which the parole board did not have before," said Steven Rosenfield, Jens Soering's attorney. Monday, April 30, marks the 32nd anniversary of Soering's arrest in 1986. He's convicted in the murders of Derek and Nancy Haysom. 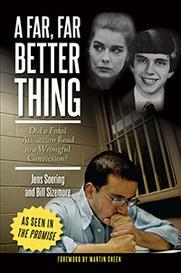 Earlier this year, the Virginia Parole Board denied Soering's request [pdf] for the 13th time. While parole is abolished in the state, Soering's case was grandfathered in. "This parole board is looking more carefully at releasing people who are not dangerous and who have served sufficient time. Everybody who's eligible for parole now has at least served 23 years, and so more people are getting released," Rosenfield said. They're also asking for the governor to pardon Soering [pdf] and deport him to his home country of Germany. The governor's office is still investigating the case. Today, April 30, 2018, is the 32nd anniversary of Jens Soering's arrest on April 30, 1986.He has spent 32 years in prison for a crime he did not commit. On February 23, 2018, the Virginia Parole Board denied Mr. Soering's parole for the 13th time, based on the serious nature of the crimes committed. On April 9, 2018, four Virginia law enforcement officers held a press conference in Charlottesville. They issued a public "Call for Pardon," asking Governor Ralph Northam to pardon Jens Soering on the grounds that he did not murder Derek and Nancy Haysom. The "Call for Pardon" by the four officers negates the reason the Parole Board gave for denying Mr. Soering parole. Since he did not kill Mr. and Mrs. Haysom, it makes no sense to deny him parole based on the serious nature of the crimes committed. The Parole Board can grant Mr. Soering's parole appeal any time it chooses. There is no set procedure or deadline. As Jens Soering's attorney, I call on Governor Northam to ask the Board to grant Jens parole speedily, based on the four officers' "Call for Pardon." The pardon process can continue in Virginia after Jens has been paroled and deported to Germany.